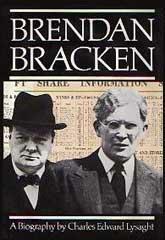 Brendan Bracken was born in Templemore in Ireland in 1901. Educated at a Jesuit College in Mungret he was sent to Australia where he worked on a sheep station. He later found employment in a newspaper's advertising department before returning to Dublin in 1919. Bracken moved to London where he became friends with Winston Churchill and helped him in his unsuccessful attempt to return to the House of Commons in 1923. He found work with Eyre & Spottiswoode and in 1925 became a director of the publishing company. He edited the Financial News, The Banker and The Practitioner before being promoted to managing director of the Economist in 1928. A member of the Conservative Party, Bracken was elected to the House of Commons in 1929. 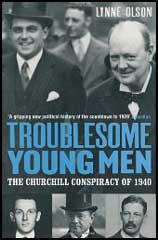 A strong opponent of appeasement, Churchill appointed him as his parliamentary private secretary soon after the outbreak of the Second World War. Bracken replaced Duff Cooper as Minister of Information on 21st July, 1941. He held the post until becoming First Lord of the Admiralty in 1945. Bracken lost his Cabinet post after the 1945 General Election. Brendan Bracken, who was created a viscount in 1952, died of throat cancer on 8th August, 1958. The 1922 Committee was addressed by Brendan Bracken, that kind-hearted, garrulous, red-headed gargoyle, whom I have always considered a fraud, au fond: he is an indifferent Minister, promising all and doing little - inoperative in fact, and prejudiced. He made a bid for popularity with the old-fashioned Tories today.